Today Is Aaliyah's 34th Birthday! We Miss You, Aaliyah! 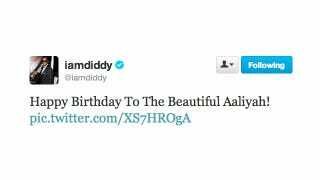 In this edition of Tweet Beat, Diddy wishes Aaliyah a happy birthday, Danny Pudi lounges in a tiny chair and Diablo Cody has a tween case of Lincoln Fever.